HE&M Saw is a leader in the design and manufacture of production band saws for metal fabricators. With more than 70 different models of saws available, their product line includes vertical, horizontal, plate and double column saws with a wide range of capacities. In addition, various options like computer control and automatic material handling tables can help your business maximize output and increase the efficiency of your sawing processes. HE&M saws are currently in use worldwide, and HE&M boasts more patented sawing innovations than any other manufacturer. These include blade enhancers, cut watcher, multi-guide arm saws, full stroking stacking clamps and computer-controlled systems. 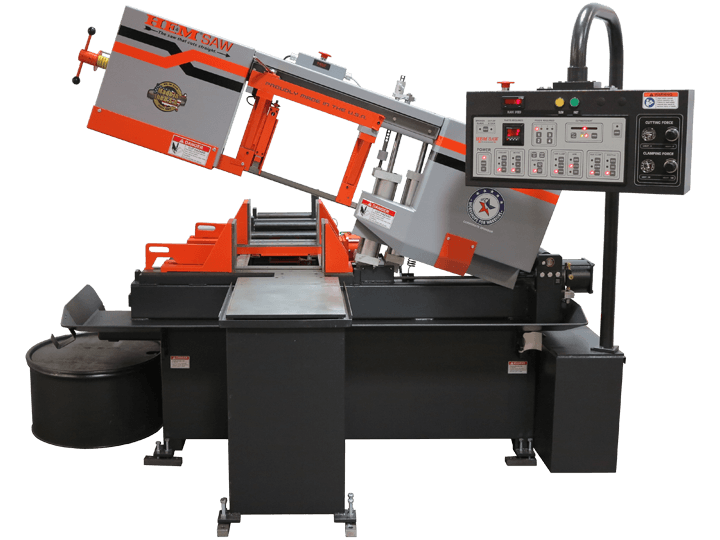 If you’re looking for a new band saw for your facility, contact us today. Our team can help specify the best HE&M saw for your application and provide a quote.